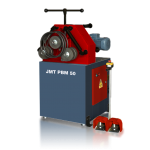 From the thinnest sheet to the thickest plate JMT has your number in plate rolling machines. 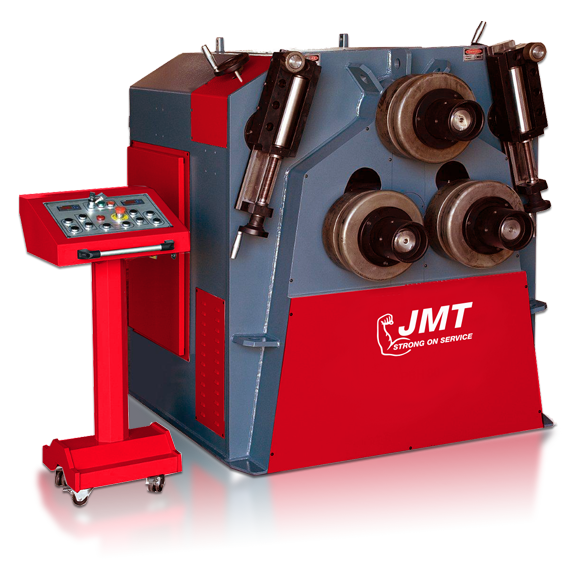 In 3 roll and 4 roll, hand crank to the most powerful variable axis (variable geometry) plate rolling machines available to the industry, JMT is your source for the longest lasting most accurate plate rollers for sale in the market today. If massive is your mindset JMT is your source. With widths as narrow as 3 foot 4 inches to widths as wide as 13 foot 5 inches your sheet will probably fall in there somewhere. 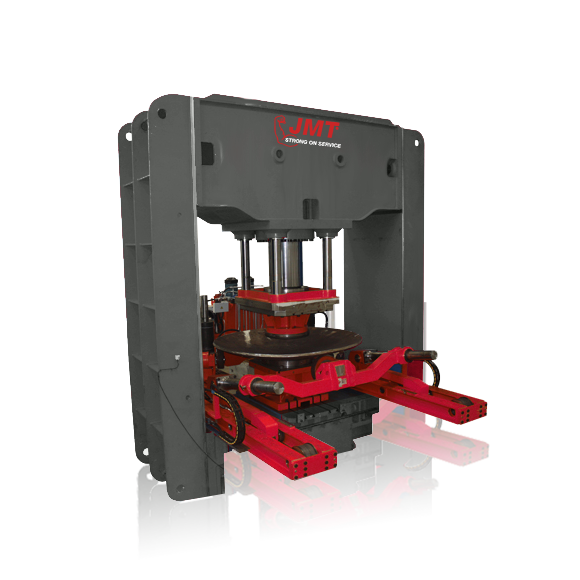 With thickness capacities as thin as 18 gauge to thickness capacities as thick as 6 inches, you will begin to realize JMT is you’re one stop source for plate rolling machines of any description. 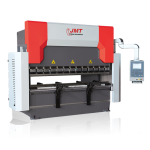 JMT has worked with our manufacturing partner to “fine tune” our plate rolls to our specification and to the pinnacle of their development. 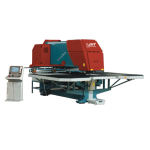 The mechanism of the 4 roll and 3 roll machines offers quick and effectual production of thick to medium plates including stainless steel and other difficult to roll materials. 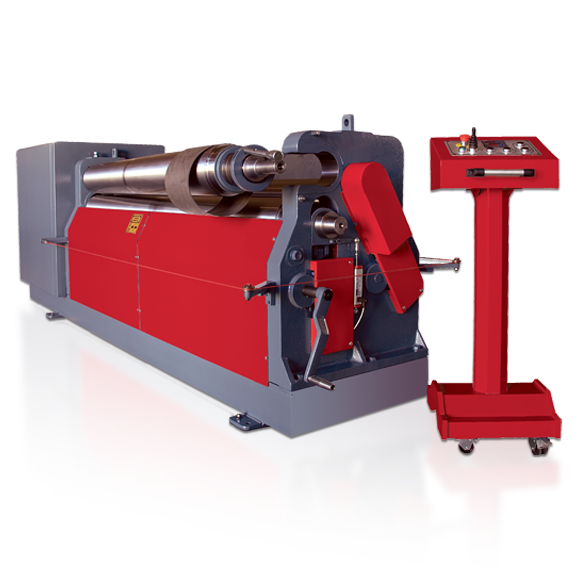 On our 4 roll plate rolling machines, the top roll of the 4 rolls moves in a fixed rotation while the lower roll secures the plate in position and moves in a vertical motion. 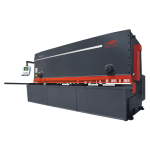 The lateral rolls can be adjusted according to the desired shape by choosing a single or double roll for processing. 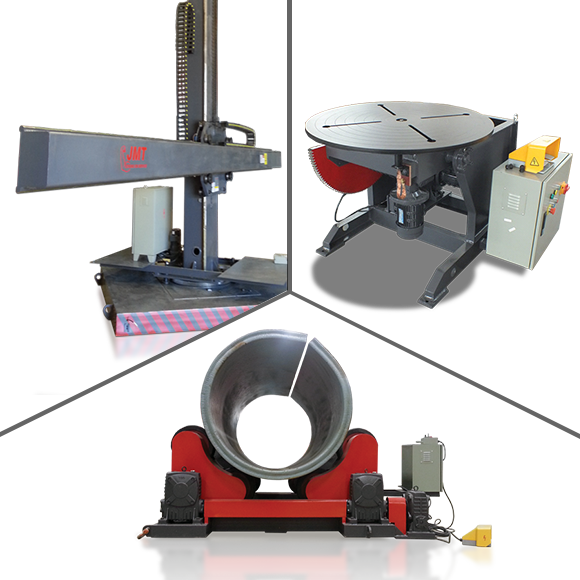 Utilizing the 4 rolls as opposed to other plate roller types, the constant pinching mechanism assists in preventing slippage which also makes it a choice which increases overall safety, while the roll is in operation. 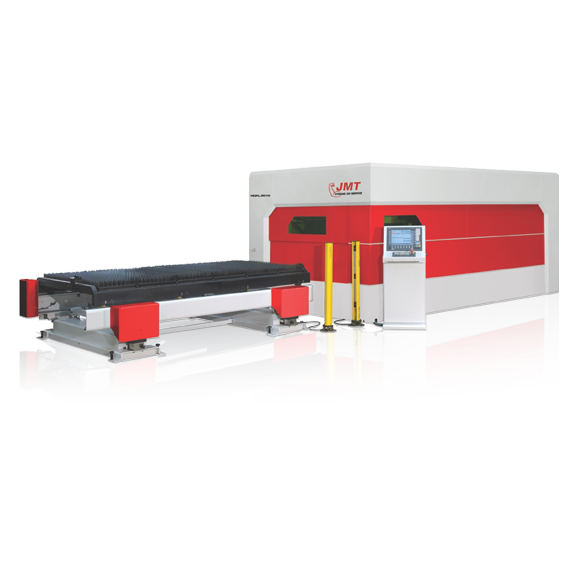 Those who are familiar with plate roll machinery, understand that the quality of production is imperative to the density of the plate rolls. Which is why our rolls are always composed of induction hardened steel as standard that allow a rolling range from 10 gauge to 6 inches. 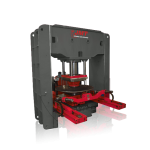 The JMT 3 roll hydraulic plate rolls are machines just as packed with features as our 4 roll machines, but at a considerable cost savings. 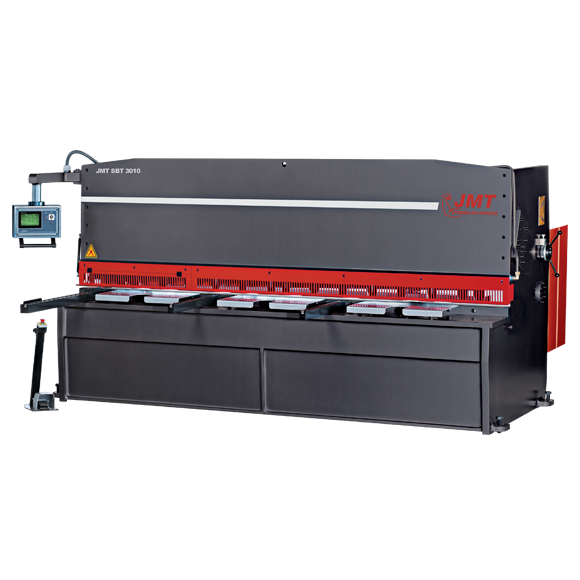 This range of plate rolls encompasses 6 foot 8 inches width capacity to 13 foot 5 inch capacity, with a thickness range of one quarter inch to one and three eights inch thickness. 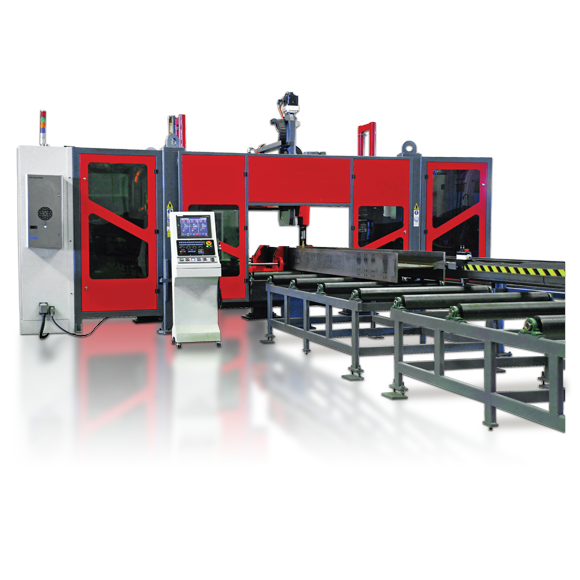 Main standard features of the 3 roll machines are; touch screen control with 4 multi-pass d.r.o.’s, dual speed control, cone bending, hardened steel rolls made of 4140 steel hardened to 58 RC. 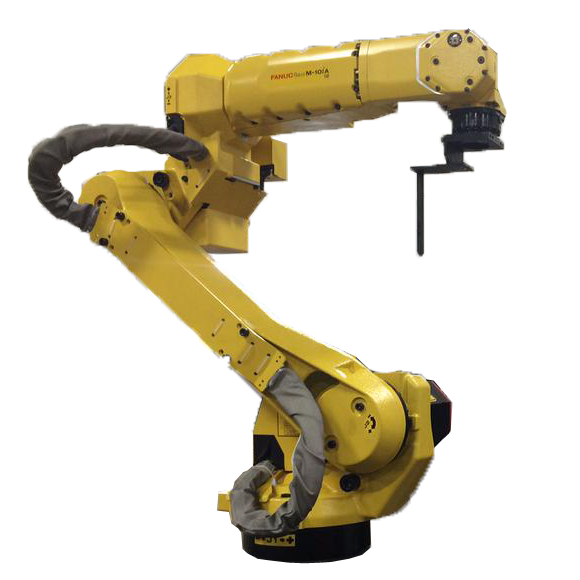 Also included in the standard features are; a heavy duty machines base induction welded with stress relieved welds, side rolls are electronically positioned and synchronized by a plc. and high end precision digital scales. Automatic roll peripheral speed compensation, providing optimum distribution of torque among all 3 rolls. All rolls are seated in spherical bearings, top roll hydraulic opening device (drop end) creates an easy “pull out system.” Side rolls up to 17.4 inches are hydraulic motor driven while side rolls larger than 14.7 inches are come standards with rectilinear guides driven with a combination of hydraulic motors and planetary gear boxes. Accurate! Easy To Operate! Fast! Reliable! 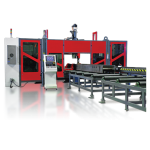 Our four roll plate roller machines are more precise, productive, versatile, faster, safer and easier to operate than our 3 roll plate rolling machines as they are less dependent on operator competence. 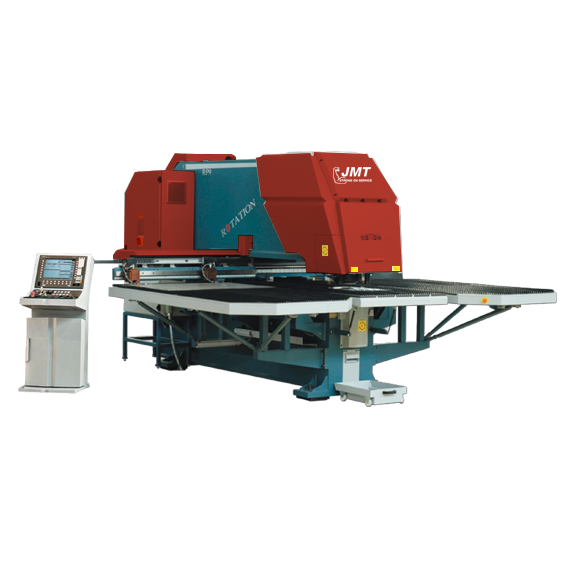 If you are looking for the fastest and most accurate plate roller machines, our four roll bending machines come highly recommended. A Value! Versatile! Flexible! Adaptable! Practical! 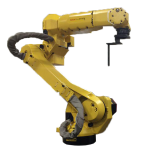 All three rolls are driven with a combination of planetary gear boxes and hydraulic motors providing superior torque, speed and distribution of powerful forces to pre bend and roll the toughest of materials. 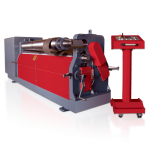 All of our plate rollers have a strengthened machine body constructed of stress-relieved high-yield steel, strengthened bearing guidance system, super strong brakes and rolls machined with optimum crowning. 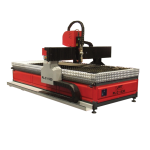 Learn more standard features and about all the optional equipment available within. 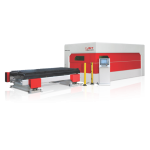 Ideal For Heavy Plate And High Yields! Roll Wide Range Of Parts-50% More Capacity! Flatten Or Straighten Thick Plate! Zero To Minimal Flat Spots! Parallel To The Ground Loading! 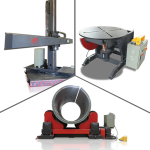 Optional accessories on our initial pinch plate roller machines include digital readout, remote controls, bottom rolls motorized for clamping, ground rolls, extended rolls & section rolls. 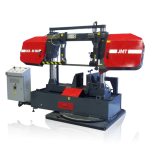 Our MRB-E line up of powered slip roller machines are economical rolling machines for light gauge metals (sheet metal). 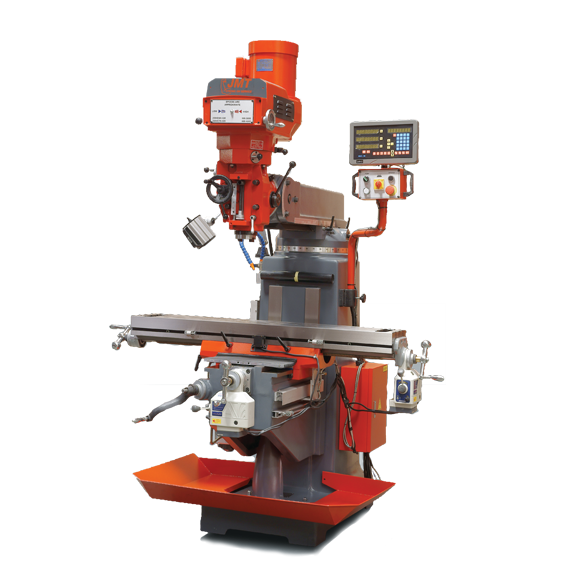 Optional accessories include digital readout(s), hardened rolls and ground rolls. Learn more about our popular power driven slip rollers within. Rigid! Simple! Versatile! Best Price! 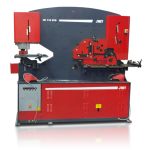 Our manual roll benders are slip roll machines that are heavy-duty, affordable, production tools for forming curved parts and rolling sheet metal tubes of various sizes and shapes. 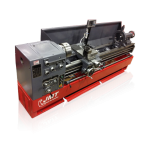 Optional accessories include precision turned hardened rolls or ground rolls. 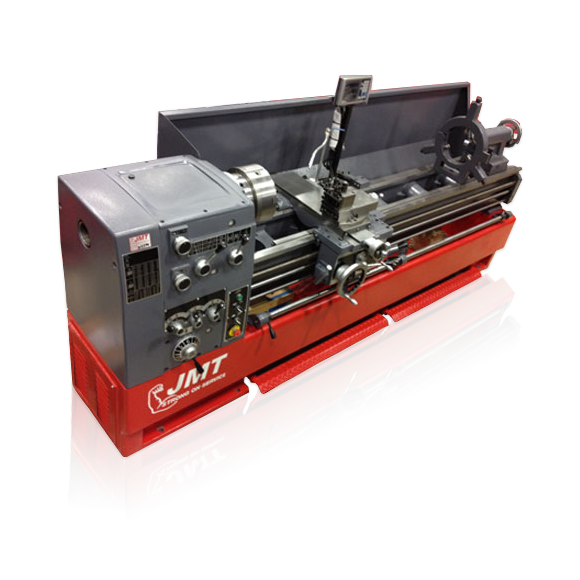 Learn more within about our complete selection of manual slip roll bending machines today. 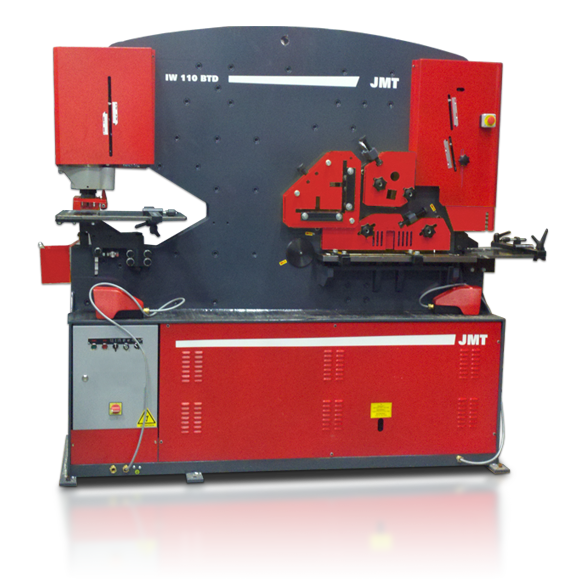 Quality begins on the inside and JMT plate rolls are loaded with world class components. 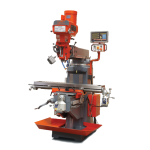 The structure of the machine is enforced by a stress relieved welded frame that has been designed as a 5 axis unit. 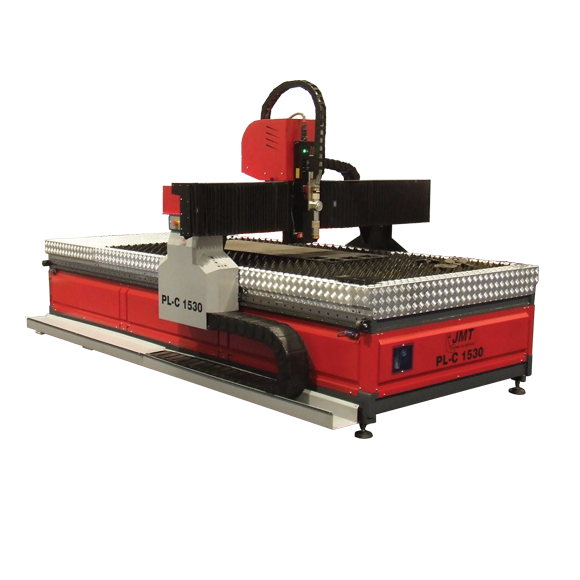 Precise parallel surfaces and axis points assist in promoting consistent, accurate results. With almost exclusively Bosch-Rex-Roth components from the main hydraulic pump, to the last proportional valve at the end of the line, quality is spoken here. Inside the very well sorted electrical panel, you will find again almost exclusively Siemens main and minor componentry. Longevity is the goal, and JMT plate rolls step up to that challenge. Simple operation is yet another benefit of these machine’s overall smooth functions, equipped with a readable, user friendly control panel that offers digital readouts and is independently mobile for the operator’s convenience. 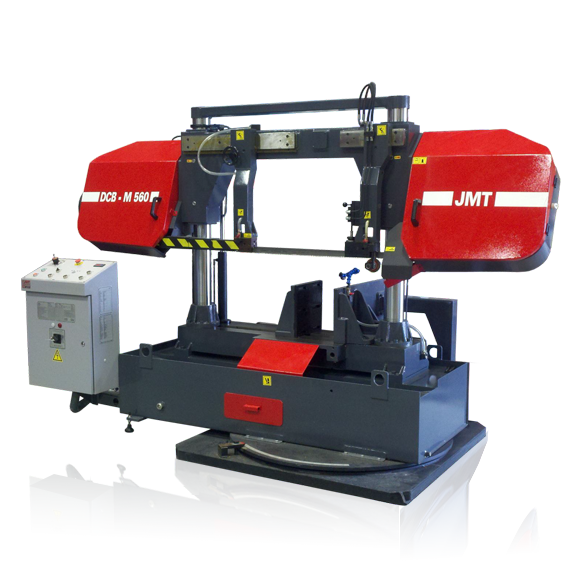 For more information on the many advantages of our hydraulic and motorized powered 4 roll and 3 roll plate rolling machines, and how they might fit your specific needs, contact a JMT sales representative today! JMT- "STRONG ON CUSTOMER SUPPORT", STRONG ON SERVICE."